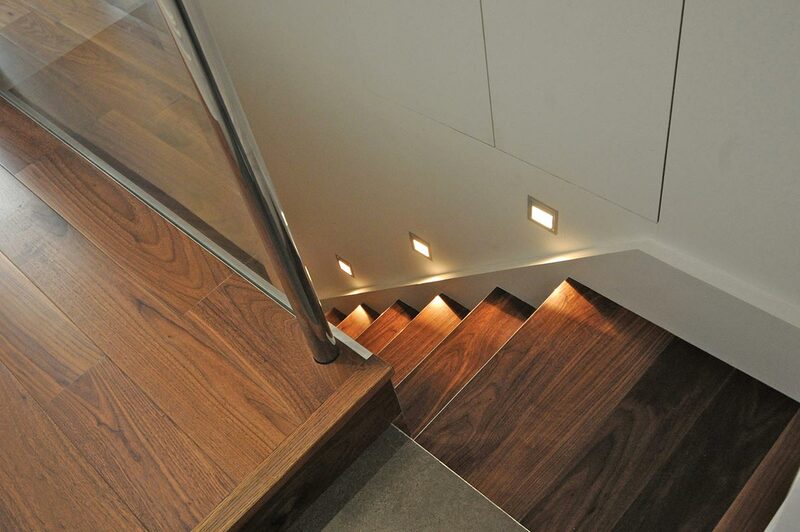 We completely gutted and refurbished this family home on a terraced street. Exterior works included cleaning and restoring all of the brickwork, new plastered walls with piers and railings, tiled floor and steps, new front door. All painted and finishd off with window boxes. 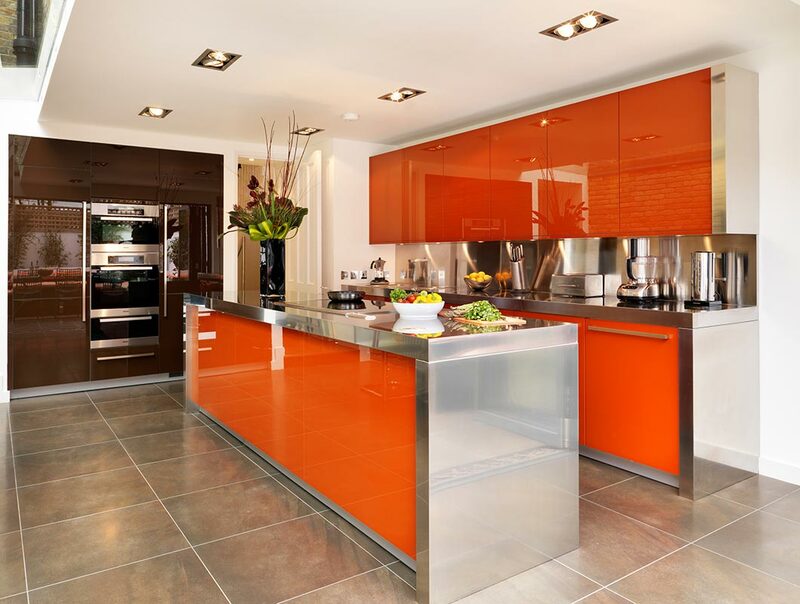 Bold and vibrant kitchen with orange and brown gloss cabinets and stainless steel worktops. 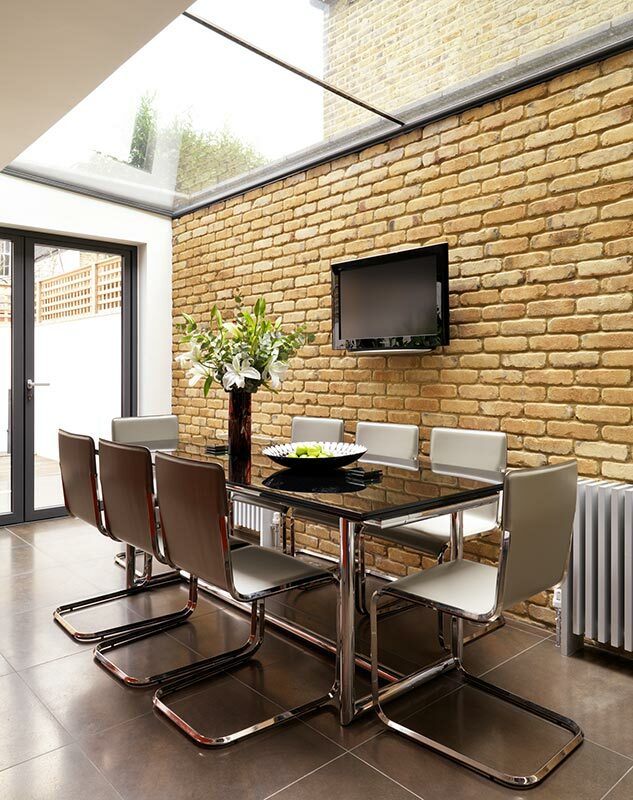 Side return extension features a 2 panel glass roof which brings in amazing light and architectural interest. 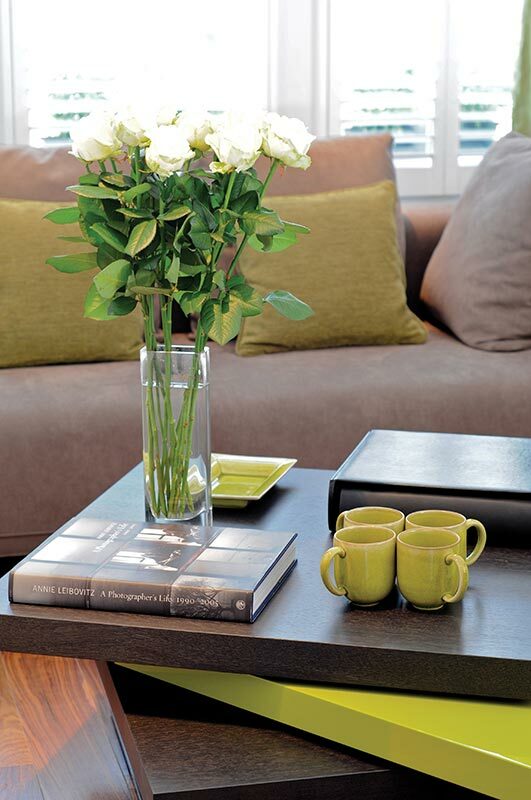 Orange and chocolate units pack a punch with colour and an exposed brick wall brings great texture. Stainless steel worktops bounce lots of light around the space from a frameless glass roof in 2 panels that covers the side return; and bi-fold glass doors at the end (where the camera is). 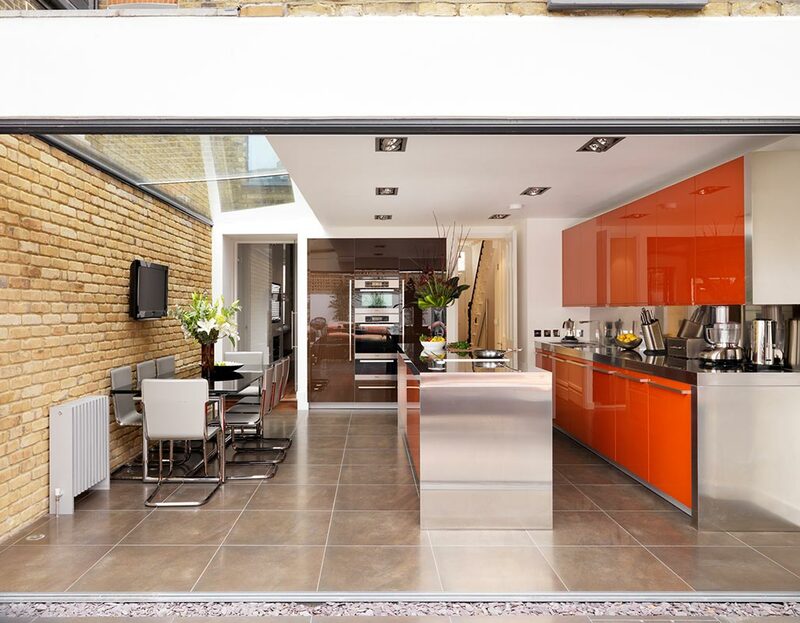 Striking orange gloss cabinets and stainless steel worktops make this kitchen zing. 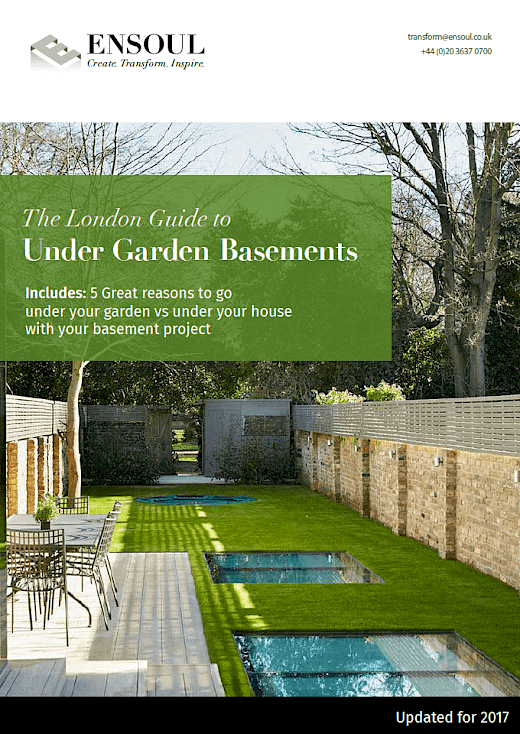 Bi-folding glass doors open onto small but beautifully designed garden with the same flooring as the kitchen. Glass roof covers the side return extension. 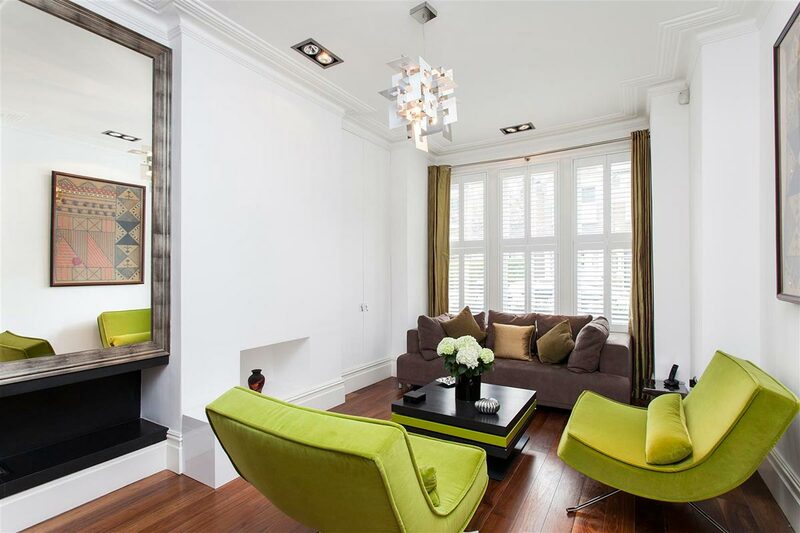 Sitting room featuring lime lounge chairs that pop with colour and match silk shot curtains. 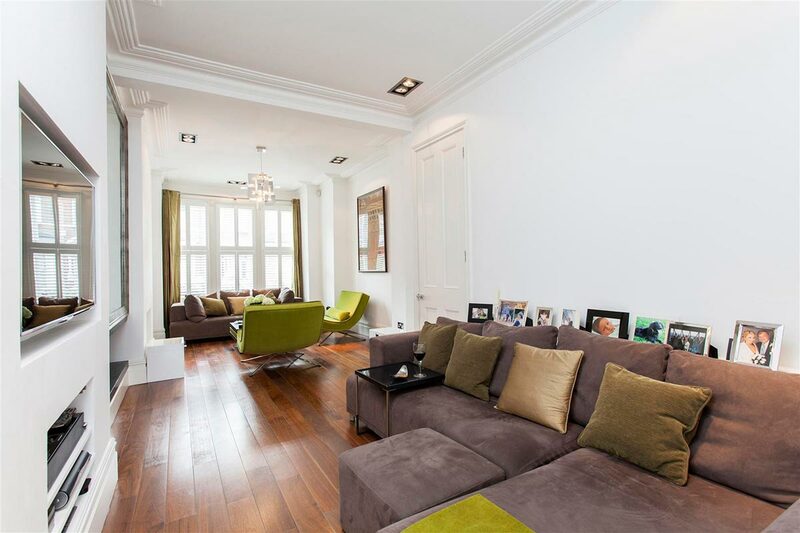 Italian chandelier and large mirrored wall turn this space into a very sophisticated sitting / living room. Letting the toys talk! 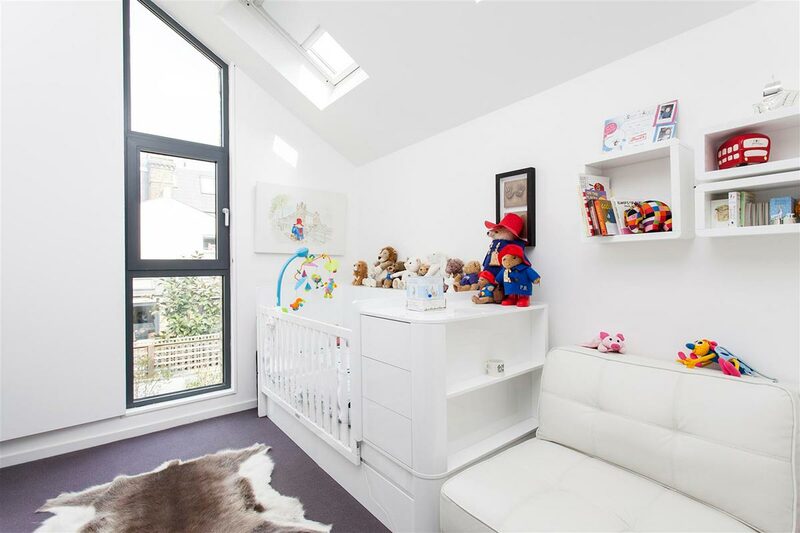 White walls and furniture really show off the toys and teddies in this beautifully simple nursery. A vaulted ceiling really opens this space up to give the impression it's much bigger and a floor to roof architectural window and veluxs let in fantastic light. 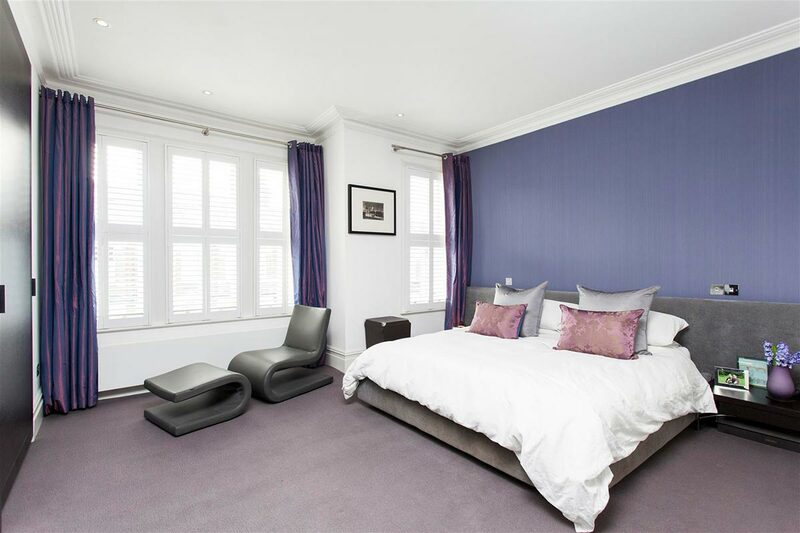 Shot purple curtains and a textured purple paper give luxurious textures to this master bedroom. A grey leather chaise and upholstered bed are the only simple pieces that this room needs furniture-wise. 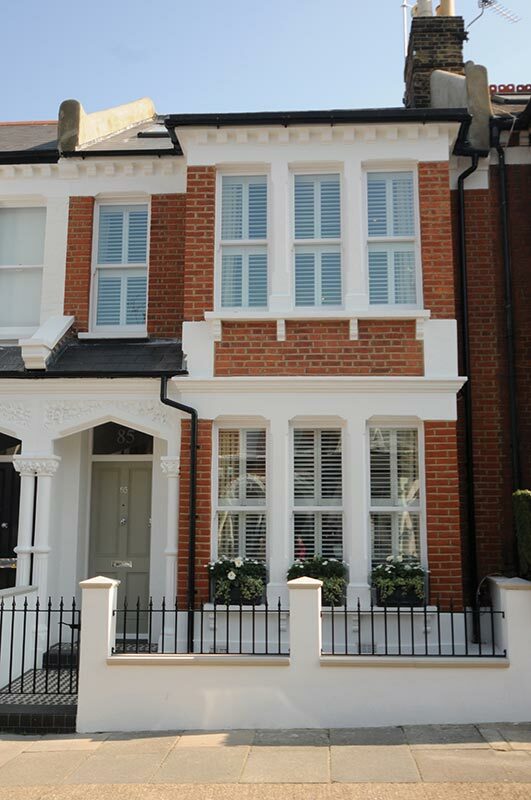 We transformed this Victorian terraced property from 4 bedsits into a beautiful, fully extended house for a busy professional couple with a baby. The scope included a full strip out, architectural design and planning application for full side return, rear extension and loft conversion and new architectural glazing and windows to the entire rear of the property on every floor. 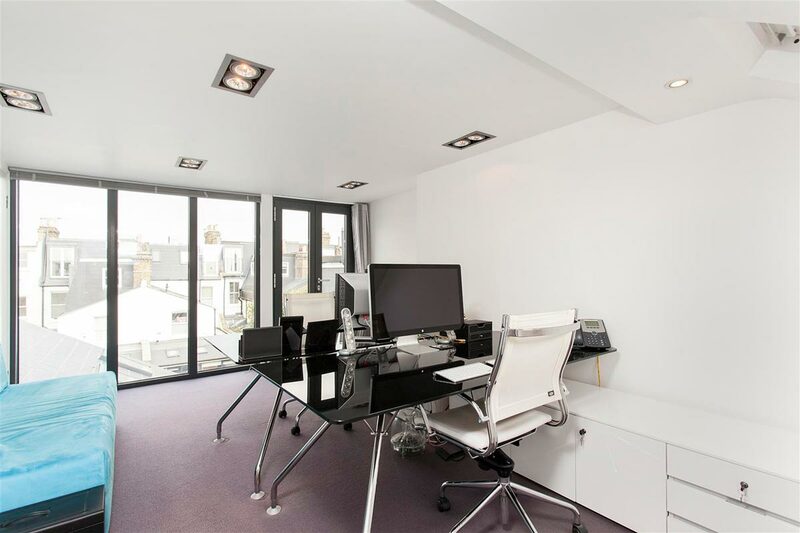 A complete internal redesign utilising both our space planning and interior design talent, full project management and procurement of all new fixtures and fittings, furniture and decorative accessories. 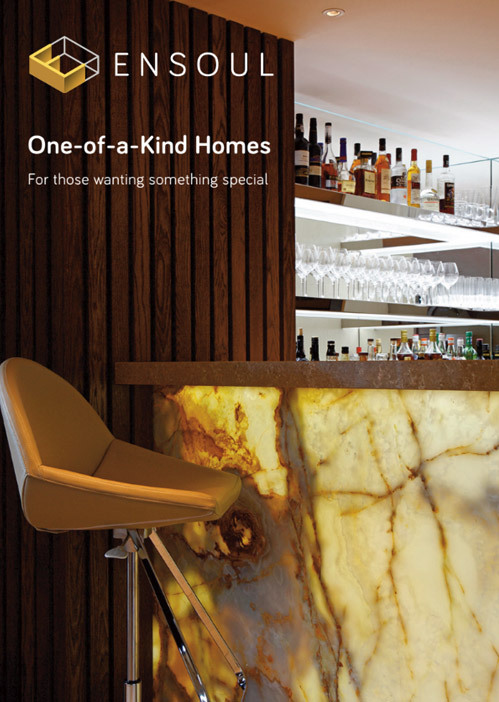 The owners wanted a large kitchen, dining and fluid living space as they’re serious about cooking, entertain a lot and wanted a really great flow to the space, particularly on the ground floor. 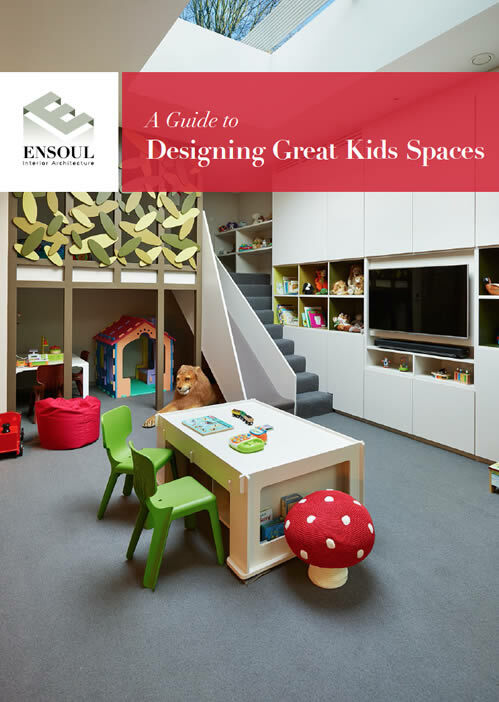 But the entire house had to be practical for a baby and a dog! 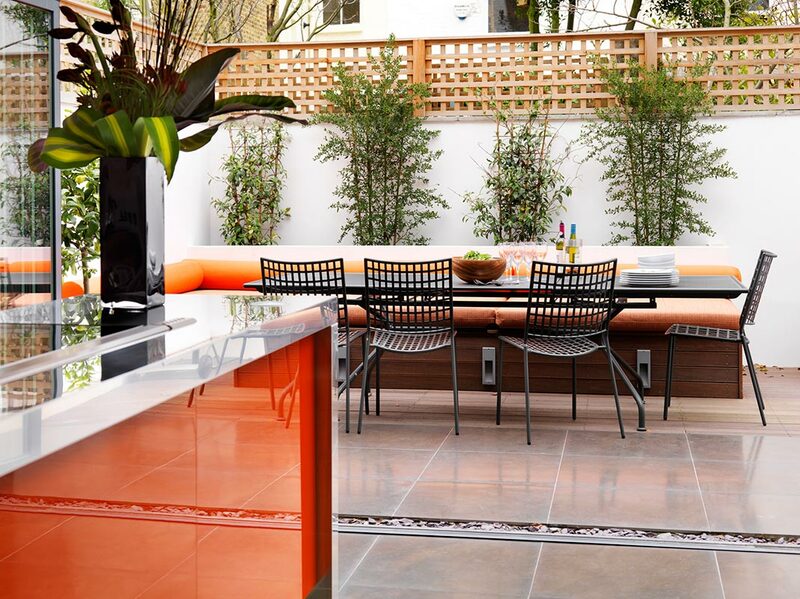 Lots of vibrant colour and texture were key to the brief and pulled off with particularly dramatic effect in the kitchen with orange and chocolate cabinetry, stainless steel worktops, splash back and an exposed London brick wall.